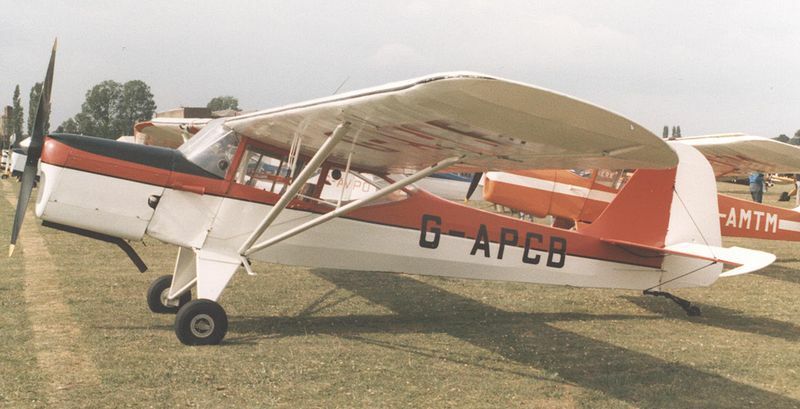 The Auster J/5 Alpine was a 1950s British single-engined four-seat high-wing training and touring monoplane built by Auster Aircraft Limited at Rearsby, Leicestershire. The Alpine was a hybrid aircraft based on the fuselage of the J/5 Aiglet Trainer fitted with the wings from the J-1 Autocrat. The prototype was converted from a Auster J-5L Aiglet Trainer. Auster J/5R Alpine - production version with de Havilland Gipsy Major 10 engine, 10 built. Auster J/5Q Alpine - lower-powered version with a de Havilland Gipsy Major 1 engine, four-built.